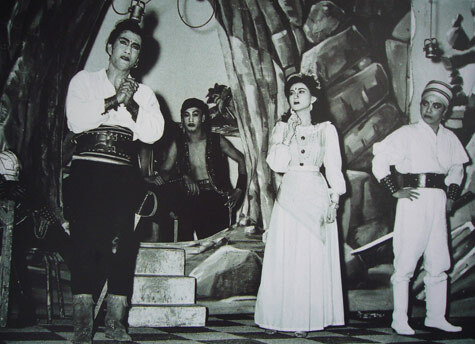 In southern Vietnam, cải lương ( reformed theater) is the popular form of opera. In the early 1900s the musical theater underwent a modernization, updating themes and musical styles. Soon thereafter vọng cổ emerged as part of the musical structure of cải lương, as the popular song Dạ cổ hoài lang became a centerpiece of the cải lương performance. An unusual musical process began to take place. Over time, the phrases of the song were expanded with the musicians improvising throughout the elongated phrases, but always ending on the pitch of the melody. The number of beats between melody notes kept doubling over the years allowing for longer and longer periods of improvising. The melody has been expanded and filled in with improvising to such an extent that the original melody is basically unrecognizable, often not making it beyond the first three notes of the melody! If this sounds confusing, that’s because it is! 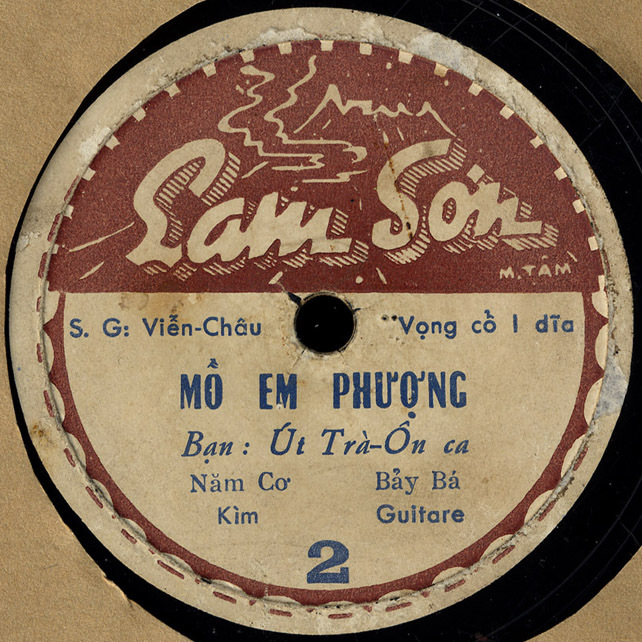 The lyrics are by Viễn Châu, he also plays the guitar using another pseudonym Bảy Bá. Năm Cơ plays the đàn kìm (aka Đàn nguyệt, a kind of 2 string lute). 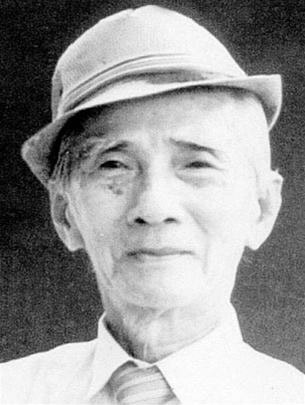 Út Trà Ôn is one of the immortal actors of cải lương. Mồ cô Phượng translates as Miss Phượng’s Grave. Miss Phượng was evidently a real person who was fictionalized in a newspaper in the 1920s. She was known as a beauty. This article attributes her story to Hoàng Tích Chu. She is described as follows: “Her beauty was like the substance of opium. It was seductive, it absorbed people. Please accept my humble apologies for the condition of this record…it’s scratchy, but better than nothing! A million thanks to Jason Gibbs! Additional thanks to David Dahl and Eugene Nguyen. Who cares about the scratches when we get to hear something as interesting and as attractive as this? Many thanks. Glad to see there are some scratchophiles out there!